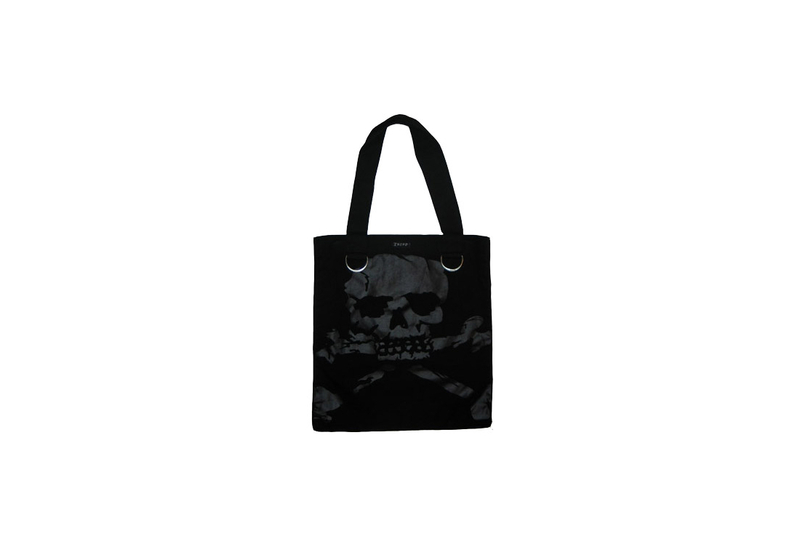 Black canvas faded denim look shoulder tote bag with skull and bones imprint. 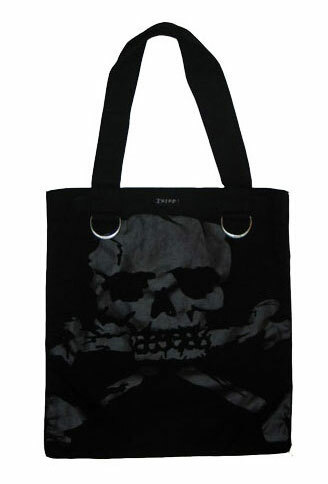 Wide Straps with extra large D-Rings. Made in the USA.